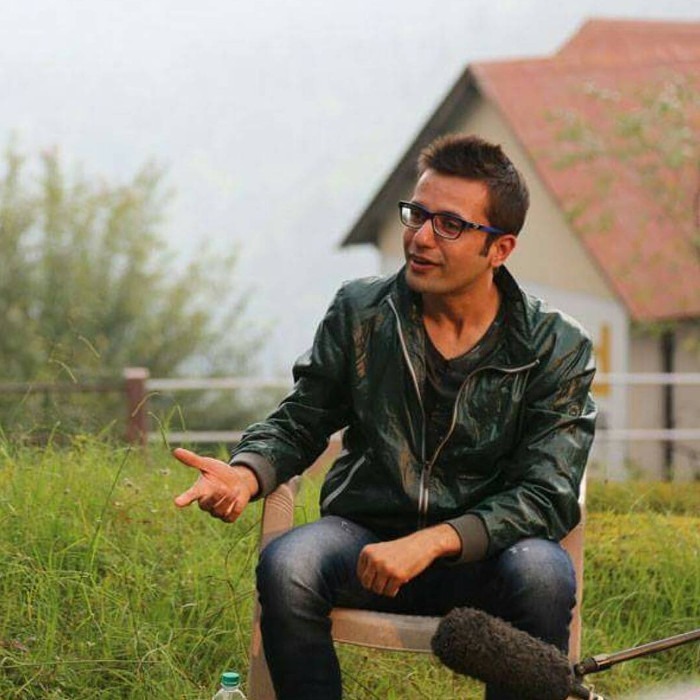 Who is Sandeep Maheshwari? If you are an Indian who is confused about his life and feel that you are going on the wrong track, then Sandeep is your man to go. 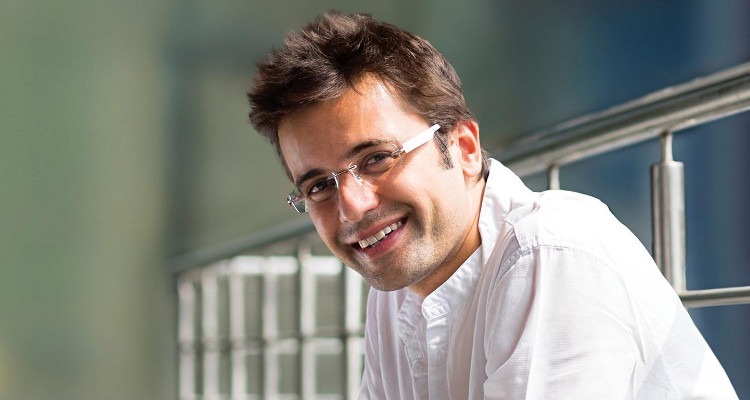 Sandeep Maheshwari is known for ImagesBazaar, a website with the world’s largest collection of Indian images. Along with this, he is a regular guy with extraordinary speaking skills. 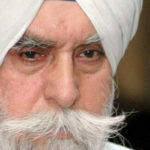 He conducts free life-changing seminars and guides young generation towards the right path. Here are some interesting facts from Sandeep Maheshwari’s wiki. When Sandeep was in the tenth standard, he was influenced by a bad company and began smoking. By the end of his board exams, he was a chain smoker. His regular routine was to while away time with his friends, go to the gym and smoke the whole day. One day when he was in twelfth standard, he was smoking at a paan shop with a friend and they were discussing the life after their board exams. His friend told him that he would complete graduation in some field and enjoy life, and after this would join his family business if he doesn’t get a job. After listening to this, Sandeep went into a trauma and that was the last time he smoked. After his life changing the conversation with this friend, Sandeep decided that he had to change himself to do something in life. He studied day and night for his board exams and scored a staggering 85%. He was ranked fourth in his school in the board exams. Sandeep says he didn’t get stuck at any point in his life and every time tried to do something to solve his problems. Sandeep credits this incidence as his inspiration in life. Sandeep’s family had an Aluminium business, which collapsed and he had to start working in order to fulfill the financial needs of his family. He tried one of the worst jobs of all time, multi-level marketing and started selling household products. 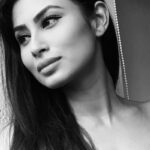 Sandeep dropped out of Kirorimal College, Delhi in the Third Year of B.COM and entered the modeling world. He experienced the suffering and harassment of the models and decided to do something to change their life. He joined a two-week photography course in South Delhi and learned all the basics of photography and how to operate a camera. He bought a camera the very next day and started clicking photos of anything and everything. Since then, he never looked back and created a world record which was a milestone after many unsuccessful ventures. In 2006, Sandeep launched ImagesBazaar, a website on the lines of Getty which was a collection of Indian images. He single-handedly handled all the operations of ImagesBazaar, being the counselor, tele-caller, and the photographer, all by himself. Today, ImagesBazaar has over one million images with a network of more than 11,500 photographers all over India. ImagesBazaar makes more than 100 million per year. Sandeep’s main source of income is ImagesBazaar and has a net worth of $2 million approximately. Sandeep has learned many lessons from life the hard way, and hence he feels that people should learn from his experiences. He often quotes “I cannot solve your problems, only YOU can.” He conducts seminars across Indian cities to give words of wisdom and inspire the Indian youth to follow the right track in life. Sandeep Maheshwari is married to Neha, and the couple has a handsome son, Hriday Maheshwari who is 14 years old and a beautiful daughter who is seven years old. Sandeep has won “Creative Entrepreneur of the Year” award at the 2013 Entrepreneur India Summit. Some of his other achievements include “Star Youth Achiever Award” instituted by the Global Youth Marketing Forum, “Young Creative Entrepreneur Award” by the British Council, a division of the British High Commission and “Pioneer of Tomorrow” Award by the “ET Now” television channel. 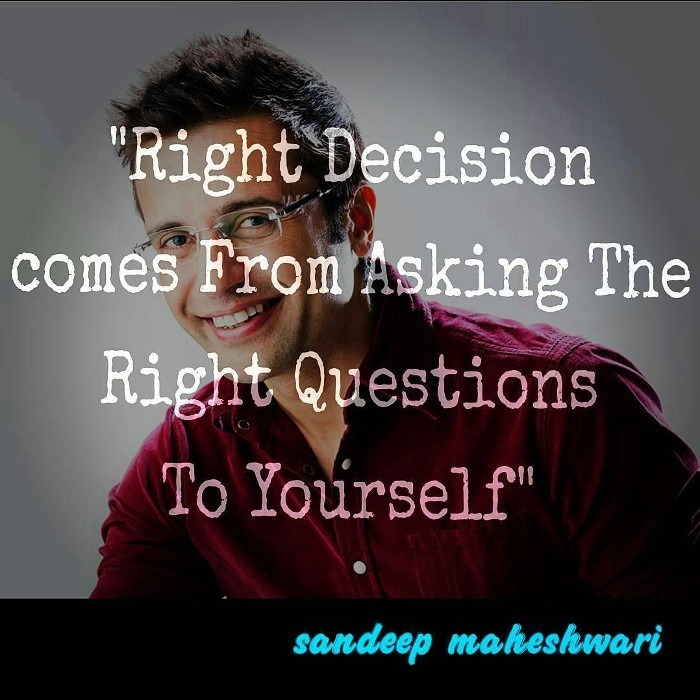 Sandeep Maheshwari’s quotes and videos are worth all our time and he is one of the few people in India who live to inspire. His most loved quote is “AASAAN HAI!” which means “It is Easy” because once you want to achieve something, you try to achieve it in every possible way. 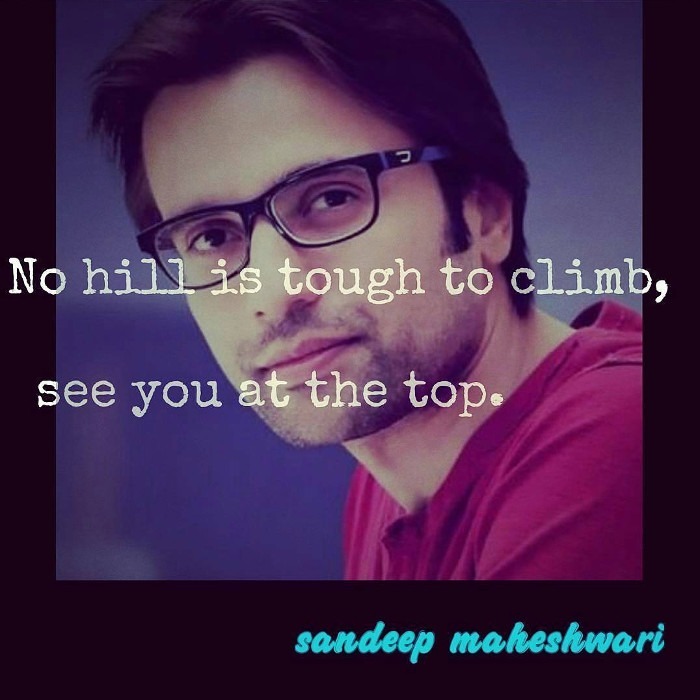 Sandeep Maheshwari has been a source of inspiration for us and we hope that he continues to brighten our minds and help us follow the right path towards living a happy and healthy life. Thank you, Sandeep for being our guiding light!